We know that at least one person has been hit by space junk. Her name is Lottie Williams and she was hit by a piece of a Delta II rocket that fell to earth in 1997. 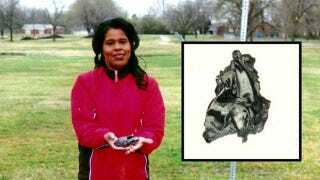 Her encounter with space debris happened in a park in Tulsa, Oklahoma. She was walking with some friends late at night, admiring the fireball that streaked across the sky. Shortly afterwards, she felt a tap on the shoulder and heard something hit the ground behind her.